Today is the final day of Plush Camp! 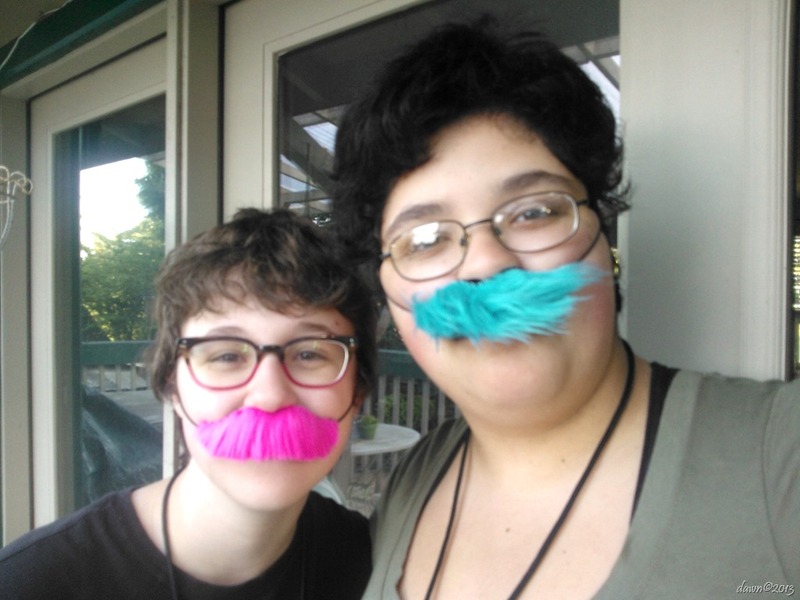 Our warm up project today, as modeled by my intrepid interns, is mustaches! I had a bag of fun fur scraps, so the kids will add elastic and back them with felt. A quick, and really fun project. The rest of the day is dedicated to designing and stitching plush toys of their own design.